The Iron Rattler at Six Flags Fiesta Texas in San Antonio remains closed as officials investigate what led to a fatal accident on another roller coaster at the company’s Arlington theme park. Fiesta Texas spokeswoman Sydne Purvis said Monday that the decision to close the attraction was made late Friday after officials heard about the accident in Arlington. According to Dallas-area news outlets, the 52-year-old woman was thrown to her death from the Texas Giant at Six Flags over Texas about 7 p.m. Friday. The Tarrant County Medical Examiner’s Office reportedly said that she died of “multiple traumatic injuries due to (a) fall from a roller coaster.” The Dallas Morning News said relatives identified her as Rosy Esparza, though the coroner’s office has identified her as Rosa Ayala-Gaona. 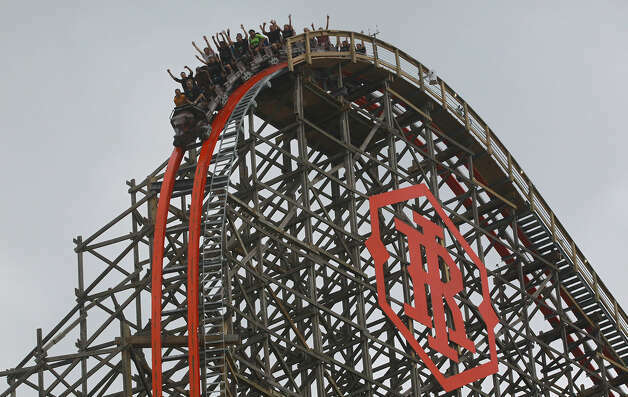 The Iron Rattler, which debuted in May, is “somewhat similar, although not identical” to the Texas Giant, Purvis said, describing them both as hybrid roller coasters made from a combination of wood and steel. “They’re not identical in configuration, and in a number of other ways, the roller coasters are different,” Purvis said. It wasn’t clear early Monday how long the Iron Rattler would remain shuttered. Purvis said the decision was made as a precaution. Six Flags over Texas officials told the Fort Worth Star-Telegram that the Texas Giant will remain closed until the end of an in-house investigation into the woman’s death. The Iron Rattler is a revamped version of the theme park’s original Rattler, a 20-year Fiesta Texas landmark that was retired in August 2012. The Iron Rattler runs on new steel tracks and rails added to its iconic predecessor’s wooden structure. The redesign increased the original coaster’s drop from 124 feet to 171 feet, upgraded the drop from about 61 degrees to a much steeper 81 degrees and added 5 mph to the ride’s top speed. The old Rattler’s top speed was 65 mph. The Iron Rattler’s is 70 mph. On June 12, 2007, Hailey Kuhn, 14, fell off a rollercoaster platform and was paralyzed while waiting in line to ride the Poltergeist at Fiesta Texas. An Express-News investigation found that Texas ride owners told state officials that more than 1,800 people were injured on or near amusement rides from 2000 to 2008 — an average of about 230 per year. Most victims suffered only scrapes and bruises, and the official tally of injuries has declined over the years. But there have been painful mishaps — at least 120 people broke bones; nearly 60 people had teeth chipped or knocked out; and four people suffered amputations.